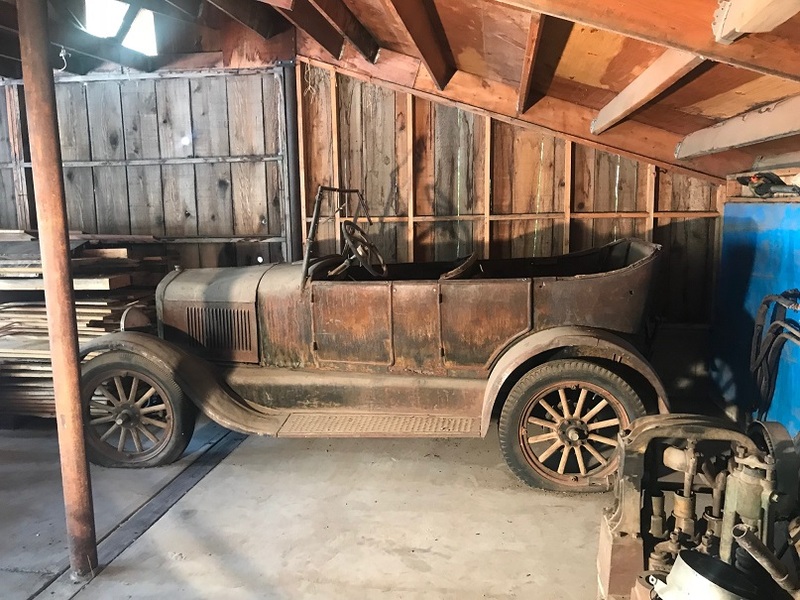 Model T Ford Forum: What is this Worth? 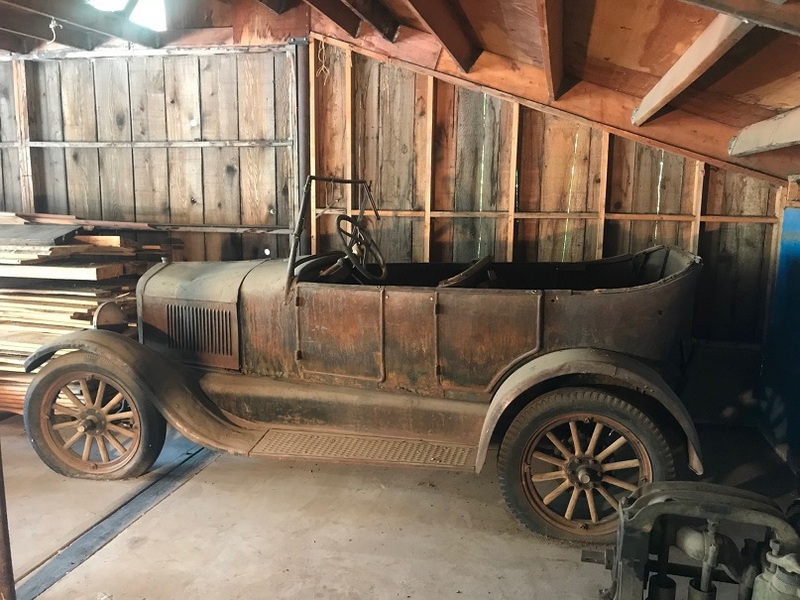 Model T Ford Forum: Forum 2018: What is this Worth? 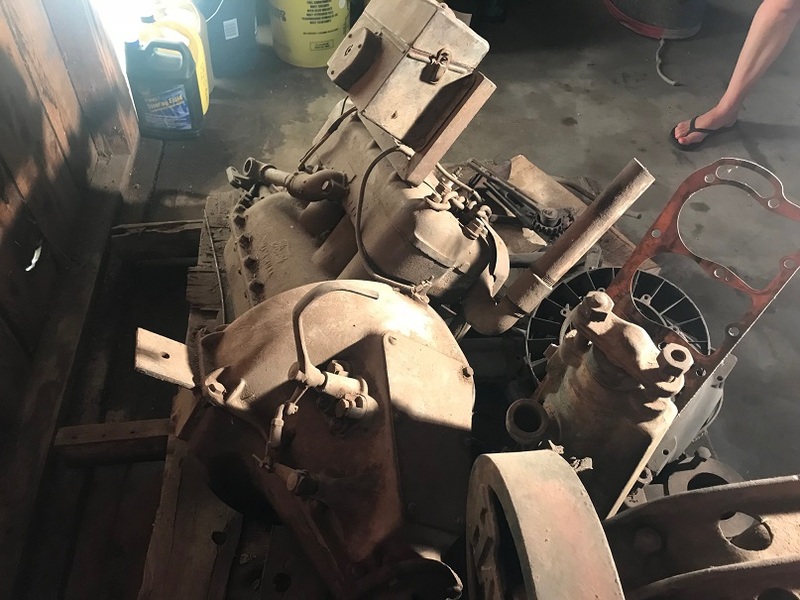 Grandpa's never started project. I need to sell this. Believe the pile of parts is a second engine. Can anybody help me price this? You have an active club in your area. Have someone go with you to evaluate this car. Does it run? 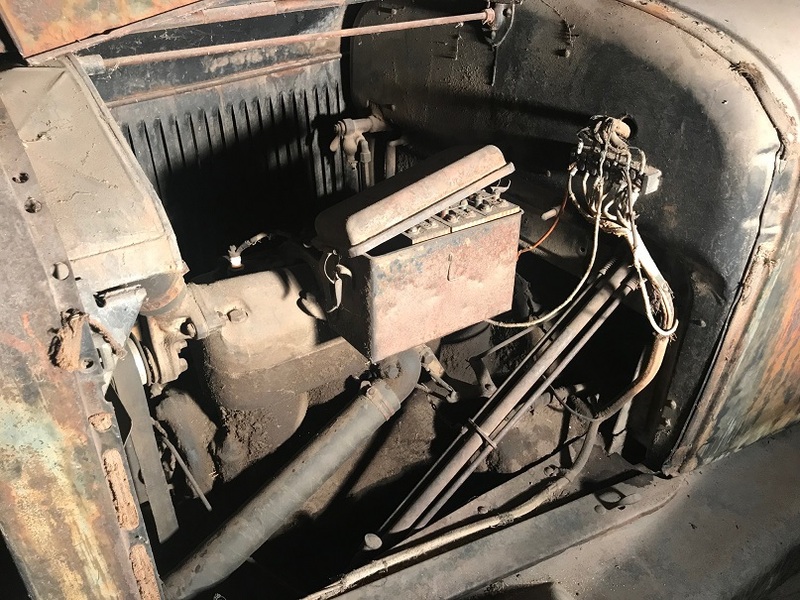 You are looking at several thousand dollars in restoration even if you do as much yourself as you can, so a complete car looking and running good would run about $12,000.00. So don't bid too high. You can go one or two ways: 1. 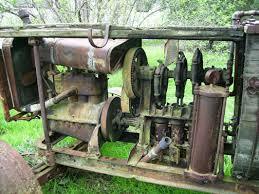 Get it running good and leave the body unrestored. 2.Restore everything. With your climate, I think the first would not work very well because a good paint job both on the surface and inside the body and under the car will protect from the elements. I personally think it is worth about $1,500 to $2,000. You can get a much better one for $7,000 to $10,000. But if your hobby is tinkering, this might be just the thing for you if you can get it for a reasonable price. It looks restorable. 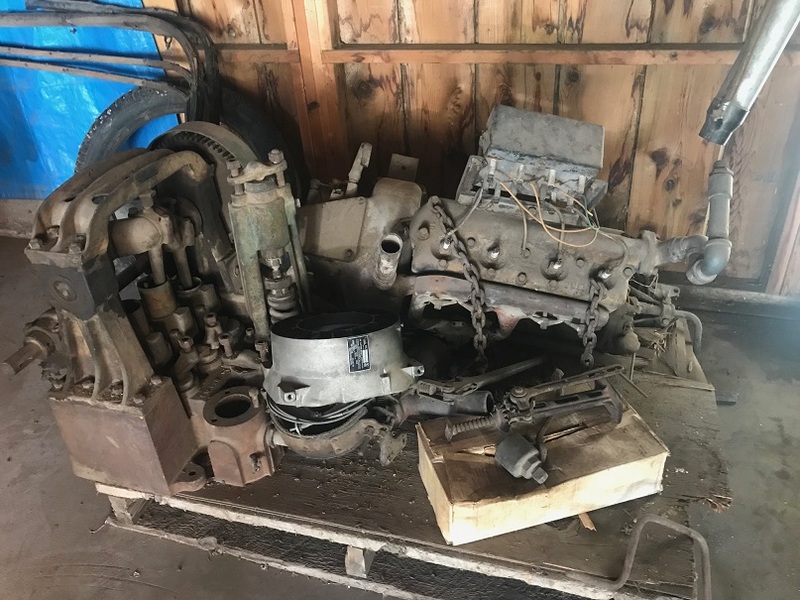 Part of the pile is an engine, and I don't know what else the pile contains. Is that a steam engine on the left side of the pallet? Reminds me of one I saw at US Steel many years ago. Can you post more pictures of the spare engine? It looks like it may be a pre starter one I see the top bows against the wall behind the car. I believe it's a water pump. Looks like the T engine was set up to power this pump. Look at the head, water outlet, it's plumbed to send cooling water somewhere, maybe a remote radiator or cooling tower of some sort. My gut feeling is; that water pump is for dewatering an area like a basement or bilge with the effluent just running off in a stream somewhere. Wow, wish that pump set up were closer to me, I would want that for sure. Nice project otherwise. In my opinion all the T stuff would run somewhere in the $1,500 - $4,000 range depending on a whole bunch of unknowns being answered. Rather than just sell it all off as "T" stuff, I'd sure want to get a better idea of what that thing on the pallet is. I can't identify it from just the one photo, but for all you know it could be worth more than the entire rest of everything. Of course, I'm the eternal optimist. 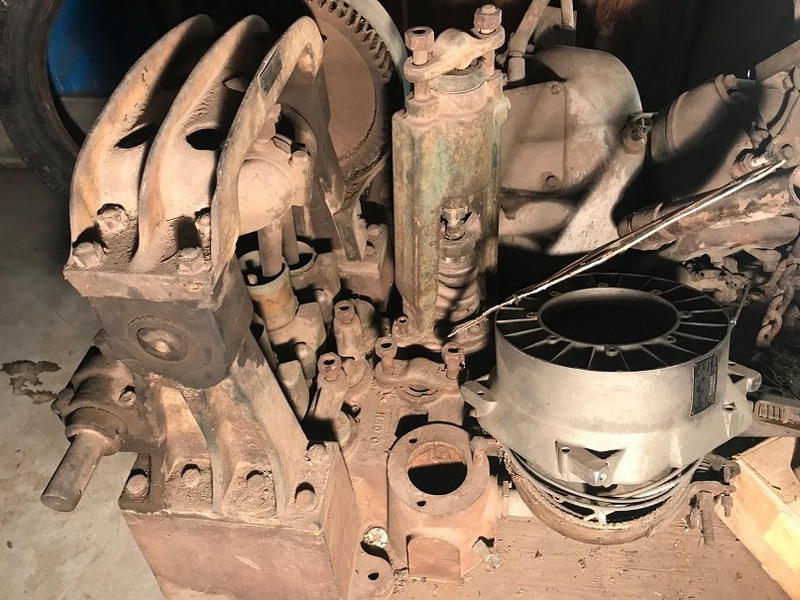 The only Model T parts I see on the pallet are a jack and a spare engine. There may be more I can't see. I agree with Norman on his assessment, but to be honest, I wouldn't touch it for any price. It looks like it would be a very expensive, 2 year project. I say, put the lot on ebay with a thorough description and plenty of pictures of each side (front, back, right and left), under the hood and of the interior. It wouldn't hurt to get all the dust off it and wash it down to get it looking as nice as possible. See if those tires will hold air and if you have the seats, clean them up and set them in the car. The more complete you can make it look, the more likely you are to get a decent price. Locate all the parts in the garage that go to it and photograph them. Put a starting price of $2,000.00 on it. Having a starting price is better than having a reserve of $2,000.00, as some people won't bid on items that have a reserve. Specify that the winner must arrange transportation and pick it up. Thanks for the feedback. I'll add a photo or two of the parts pile. This is one of several of his cars we are selling, and my project will be an old jeep. So unfortunately, i'm just trying to clarify an asking price. No way I can handle this vehicle. What you stated is aligned with what a local club member quoted, $2,000 high end. Any idea of exact year....lol? More photos. 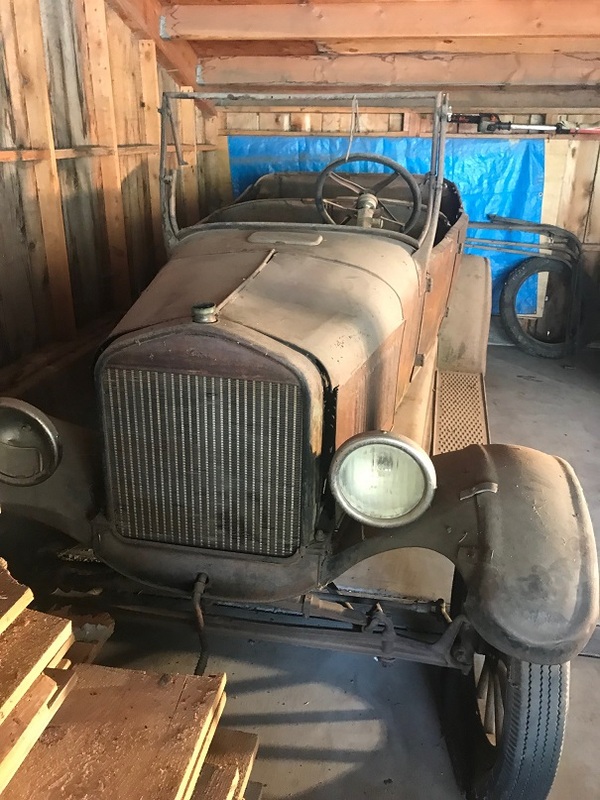 It's a '26 model made in late '25 or later. What is the serial number on the engine on the pallet? Looks about '15. It looks to be much earlier than the car (26/27). The spare '16 and earlier T engine on the pallet is modified with manifolds for water cooling without a radiator, so might be for a boat? Has flange added to the crankcase arm like it would nest on a wood spar in a boat. Being an early engine for brass era T, that would bring $400+ IMO. 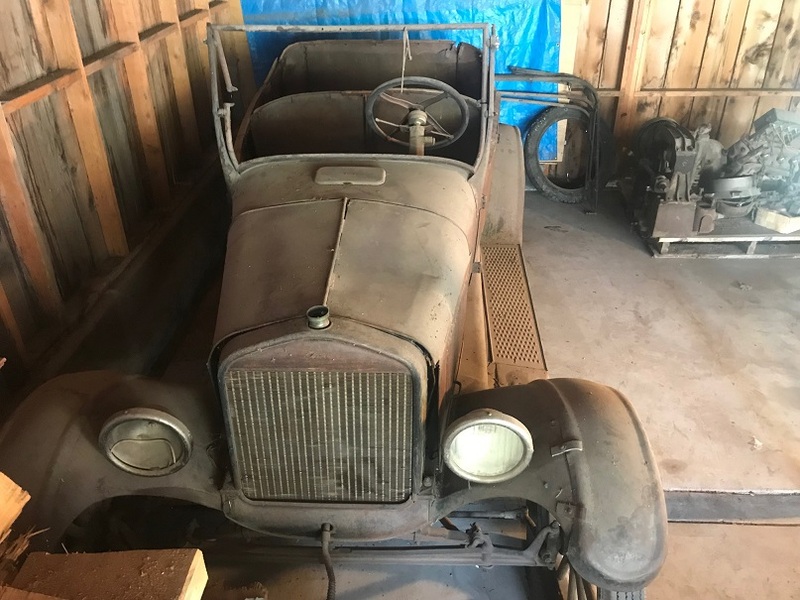 The '26 touring is a good candidate for full restore, value as sitting, if it has a title could be $2k, without title subtract $500. Ck the Engine no. over the water inlet pipe on the drivers side of the engine. To me the car looks more like a 26 than a 25 but it very well could be a very late 25 depending on the engine no. And that's if it hadnt had the original engine changed out. It pretty much has all the looks of a 26 going by the body alone. MHO of course. It would probably go for around 2500.00 or more at Chickasha to the right guy who really wanted it. Wow! A complete CAR! I would not know how to act with that many parts all together at once on a new project! Early 1926 car. No headlight bar. Looks pretty straight. People are asking big money for these bodies lately. The hottest thing in the hobby these days is original survivor cars. This one would bring maybe 4K if it was a driver. Restored it would be worth 10-15 but it would cost at least that much to restore it. Make it drivable as is and it will be a hit at any car show. The pump looks like a high pressure unit you would see used in farming, like an orchard sprayer. It would take every bit of that T engine to operate it. Interesting mounting of a firewall coilbox on the engine. The numbers on the engine in the car, what is the number on the pad above the water inlet? The numbers you gave are mold marks not date info. 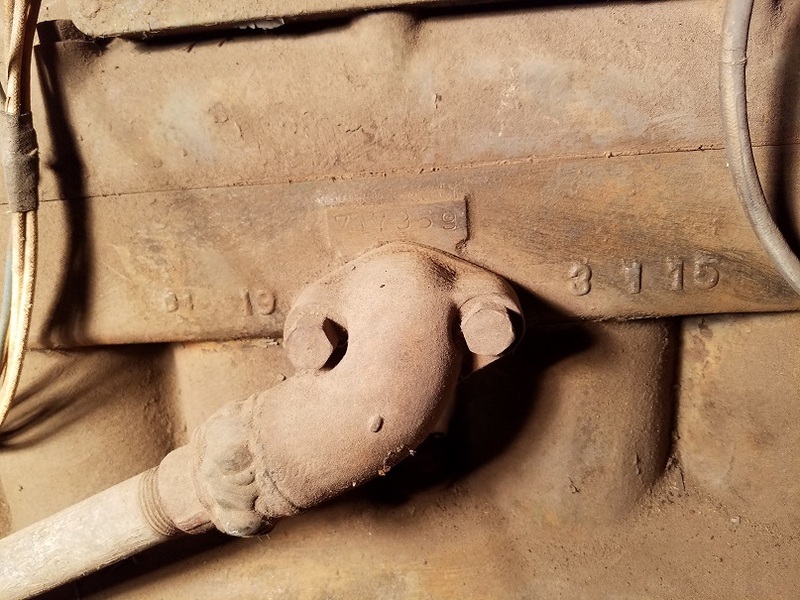 The spare engine was cast on March 1 1915 (3 1 15). Better yet, look on the top of the frame, front door area. There might be a number there. Might be hard to see so take a scotch bright pad and clean it off. Erik is correct. That appears to be a relatively straight, rust-free car that could be made mechanically sound and driven/shown in its current state. There's an abundance of nicely restored T's. Whereas T's wearing their vintage "work clothes" are more scarce and draw more attention these days. I really like the car and would make it run as is. As others have said, survivors are pretty cool, and it would cost more to restore it than it would be worth. For me, shipping to Michigan kills the deal, wish you were closer. Brett, does the engine turn? Sent you a P M.
And Don, that '26 touring was you posted ' appears to be a relatively straight, rust-free car ' would need close inspection. 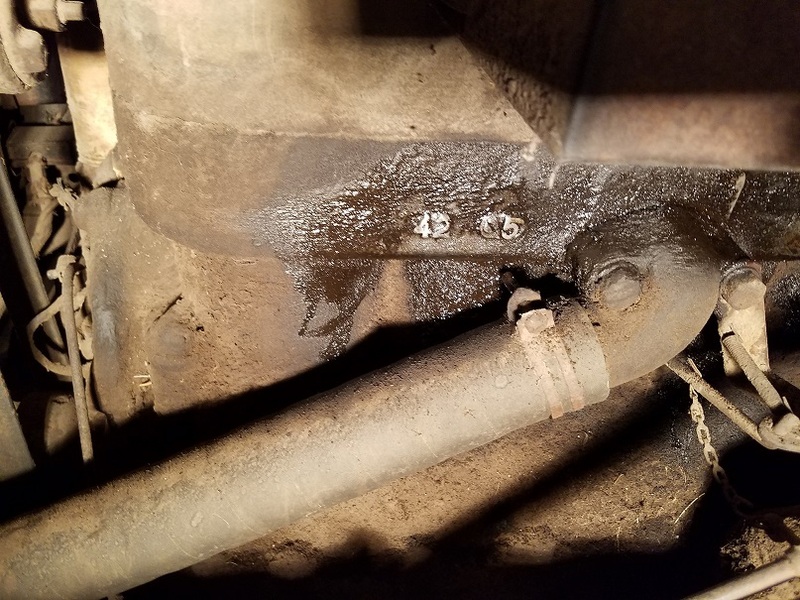 Appears to have a lot of rust out on body panel, likely the sub frame too, fenders rough, big job on this one, even if complete. 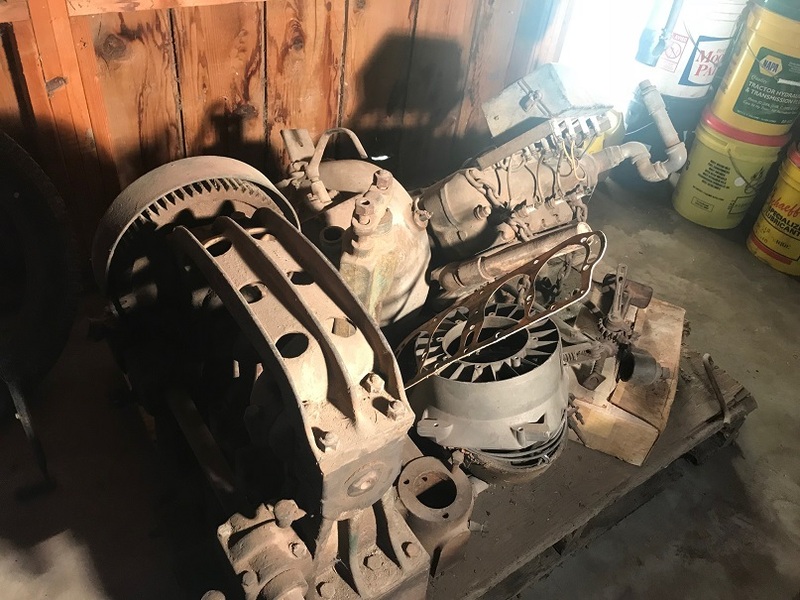 $2,500 for the car, not running, but if the engine turns over free. I sold one like it 15 years ago but running & driving very well for $4k. Prices have not gone up. Again...thanks for the feedback. I think I have some solid negotiating information. Would be worth heaps in my country. It's a cool car. Brett; Talk to the old car club in Wenatchee. Its close to you and they have a lot 0f interest in Ts in the club. 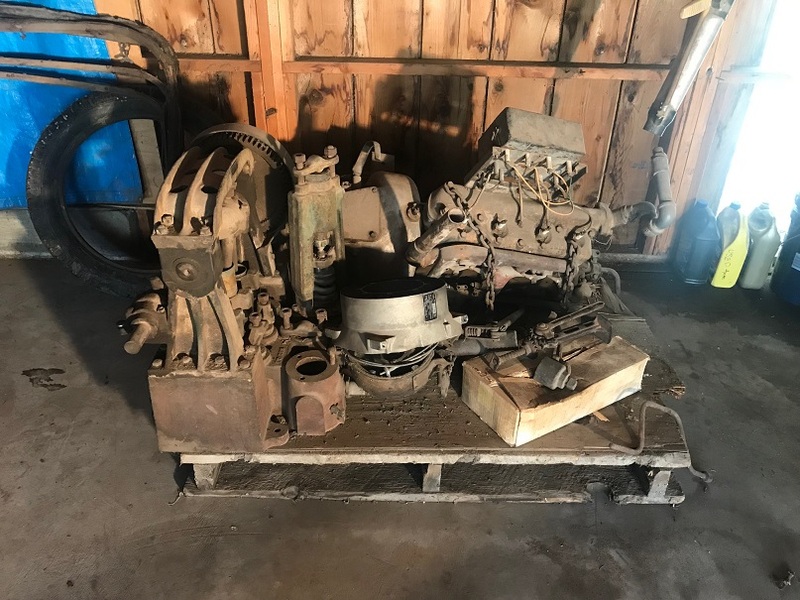 There are at least two guys in Wenatchee that buy and sell Ts and T parts big time. There is a huge Model T yard in Spokane Valley called FORD-N-MORE. Its also called Antique Auto Ranch. Some of the top T Mechanics in the U.S. Call 1-800-327-1469. To me the car looks like a pretty easy restoration. FORD-M-MORE both buy, sell and restore Ts. FORD AND MORE might be able to put you on to some one who thinks that is just the car they would like to restore. By the way 26 parts are much easier to come by than earlier cars which is a good reason you can tell someone that is looking at your car. Another good selling point is earlier cars have a lot of wood body parts with tin nailed to the outside while 26 cars have very little wood. Don't sell your car too cheap its worth at least $4000.00 and probably more.